The days of boring hats are over! 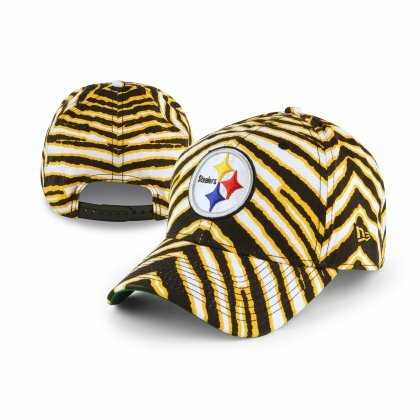 Add some zany style to your team-spirited gear with this Zubaz basic adjustable snapback hat from New Era! It features a team-colored animal print over the bill inspired by pop culture's instantly popular brand Zubaz, with an embroidered logo on the crown. So throw it on to top off your outfit at the next big game and let that funky look illuminate your team spirit for all to see!